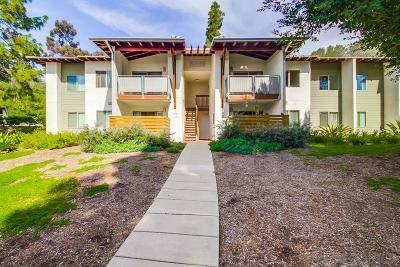 Awesome Encinitas opportunity to live in a "turn-key" upper level unit nestled amongst beautiful pine trees in the South West area of Encinitas (Encinitas/Cardiff border) in the Pacific Pines Tennis & Racquet Club. Centrally located to great restaurants, shopping, and 3 miles from world class famous beaches! ***Brand new flooring thoughout, new paint throughout, appliances less than 5 years old - see supplemental remarks for more new features***, New flooring throughout, new paint throughout, new LED light fixtures, new GFCI outlets to meet current requirements, all new tamper resistant (TR) electrical outlets, all new wall switches throughout, new 52" ceiling fan, brand new microwave, all appliances less than 5 years old, new bathroom medicine cabinet - towel rack - robe hook, and keyless entry to the front door.